Nothing you wear is more important than your smile. Though you may not be born with a perfect one, still, a smile brightens your day. It shows the world that you feel good about yourself. However, not everyone is blessed with perfect pearly white teeth. Some people have stained, broken, crooked, or missing teeth. But, did you know that that there are dental techniques that can enhance your smile? These techniques can also increase your confidence and boost your self-image. The perfect smile brings to mind an image of white, straight, and clean teeth. You might think that people with perfect smiles spend a lot of time and resources for dental services. However, there are basic things that you can do that not only makes your teeth look good but also ensures your oral health. Basic dental care involves the regular flossing and brushing of your teeth. It also includes making regular visits with your dentist for checkup and teeth cleaning. On the other hand, oral care is not only about doing all these. You should also ensure that you have a healthy diet rich in fruits, vegetables, whole grains, milk, and other dairy products. There are also some things that we put into our mouth that cause our teeth to become stained. These include cigarettes as well as some drinks like coffee, tea, wine, and sports drinks. Are you taking good care of your teeth? Are your oral care habits protecting your teeth and ensuring that they will be in good condition even as you age? You would always want to have a complete set of good teeth as you grow older. Thus, we should always ensure that we have good teeth care practices. How to avoid dental problems? Brush your teeth twice a day with a soft-bristled brush, preferably in the morning and before going to bed at night. Use a toothpaste with fluoride. Also, use a mouthwash with fluoride if advised by your dentist. Avoid foods with too much sugar. Avoid smoking. There are many health issues attributed to the use of tobacco products. Do not forget to clean your tongue regularly using a tongue cleaner or a soft toothbrush. Have regular dental checkups and cleaning. Recent developments in the medical and dental fields make it possible for people to have better teeth. In addition, licensed dentists can perform many procedures to help improve your smile. Those who have specialized in orthodontics, on the other hand, can correct overbites, occlusions, and misaligned teeth. Bleaching or Teeth Whitening – this is a common procedure that can be done by your dentist or by yourself with his supervision. This is an excellent option if your teeth are stained, yellow, or dull. Although you can do this yourself, professional whitening lasts much longer than those you do at home. Bonding – a tooth-colored resin is applied to repair a chipped, discolored, or fractured tooth. This procedure can be done with just a single visit with your dentist. It is also used in filling up gaps or in changing the color of the teeth. Crowns – completely wrap around the tooth. They are slipped over the teeth and are made of resin, ceramic, porcelain, and metal alloys. Crowns are good for damaged, fragile, or unusually-shaped teeth. Bridges – consist of one or a number of false teeth anchored on crowns on either side and are used to replace missing teeth. They are made out of porcelain. Veneers – this is similar to bonding but requires the use of customized molds. It uses very thin shells of either plastic or porcelain. These shells are subsequently cemented on to the teeth. Dental implants – are longer lasting tooth replacements. It involves the placement of a titanium implant in your jaw which will hold the crown attachment in place. Inlays and Overlays – sometimes, traditional fillings will not work for your tooth. Thus, you may consider alternative options like these. The difference between the two is that an inlay fits inside your tooth’s cusp will an overlay extends beyond. Reshaping & Contouring – is a cosmetic procedure that involves the removal of a little of your tooth enamel with the use of abrasion techniques. This eliminates imperfections on your tooth’s surface. These procedures are cosmetic in nature. They can increase confidence in those who were initially hesitant in giving their all-out smiles. However, some cosmetic procedures are only temporary. You may require more bleaching. You may also require additional veneering for your teeth once they already have some discoloration. These cosmetic procedures actually increase confidence in people who thought that they had no other option at all. 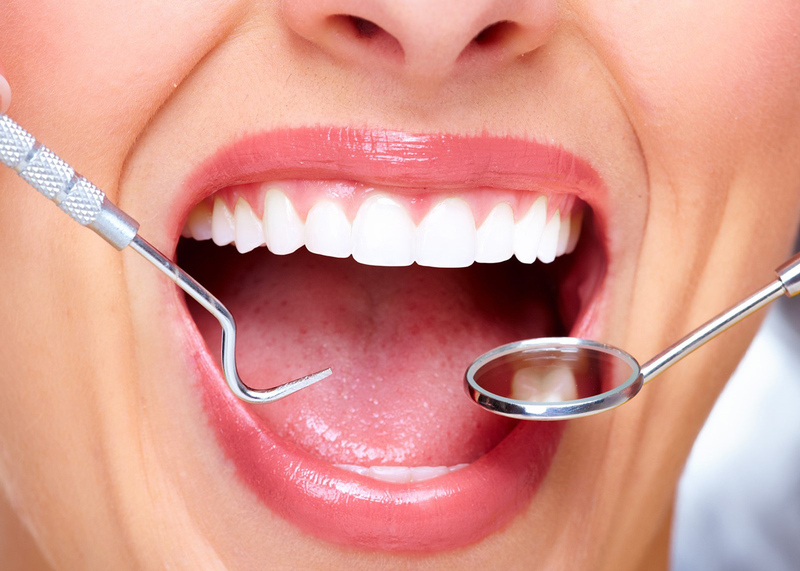 The right dental care definitely increases your self-confidence. Furthermore, you can consider other options to further enhance how your teeth look. This does not mean, though, that you should become forgetful and negligent of your own dental care at home. Your personal teeth care habits are your first defense in maintaining your oral health. Always be mindful of these habits. You will eventually be on your way to giving others that perfectly bright smile that might just melt their hearts. Mia Nicole Hayes is a Content Marketing Expert at www.orthofill.com who focuses on dental and oral related topics. She writes articles and creates relevant content on the secrets and inner/outer workings of Dental and Oral Care which opted to inform and teach viewers to become better aware individuals.